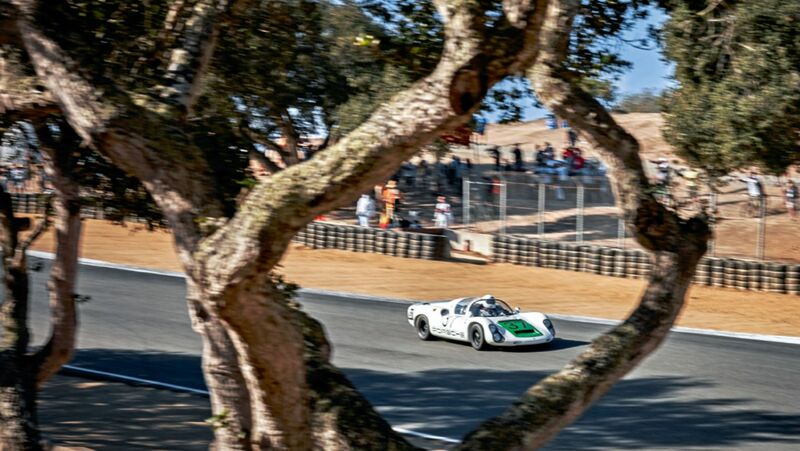 Rennsport Reunion: two words that signify the world’s largest gathering of classic Porsche race cars, held at the Laguna Seca Raceway in California. And it’s set to take place again at the end of September. Impressions from the last reunion in 2015. With Karl von Wendt and Willi Kauhsen at the wheel, this 906 Carrera 6 was the fastest two-liter sports car to race in the 1968 Targa Florio. 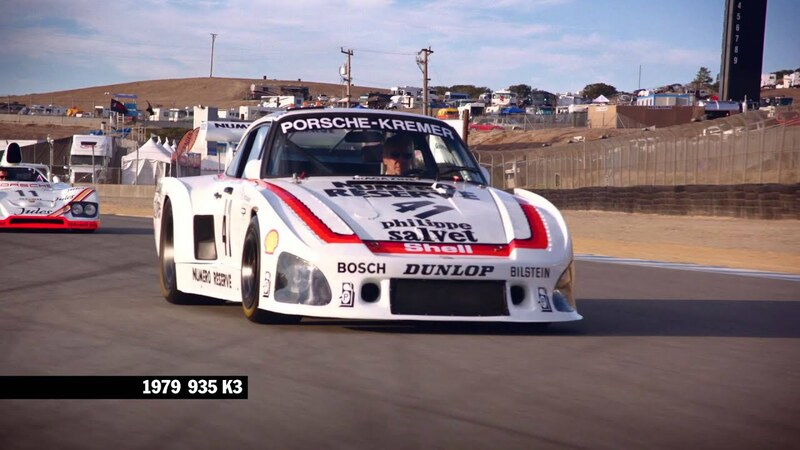 Jacky Ickx, who won the twenty-four-hour classic four times in a Porsche, on his way to a victory lap in the 936/81. 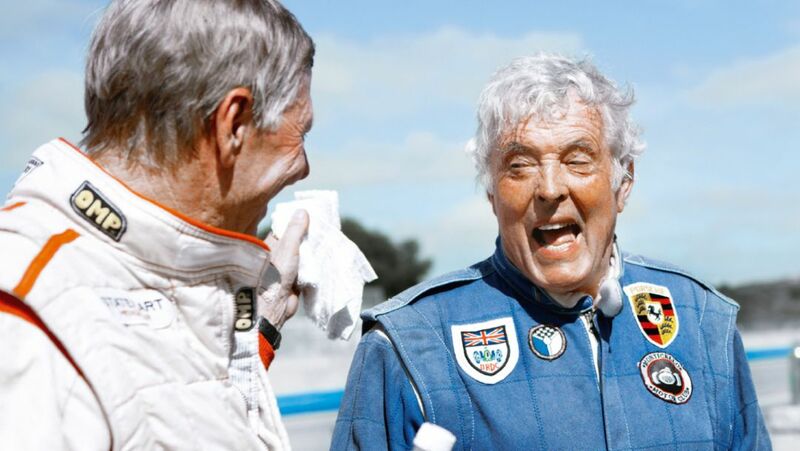 Driving slowly is impossible at the Rennsport Reunion. Behind the wheel of a Porsche, Gijs van Lennep (left) won Le Mans in 1971 and 1976. Brian Redman was victorious at the 1970 Targa Florio. When Hans Herrmann and Jo Siffert took fourth place with this 910 at the twelve-hour race in Sebring. 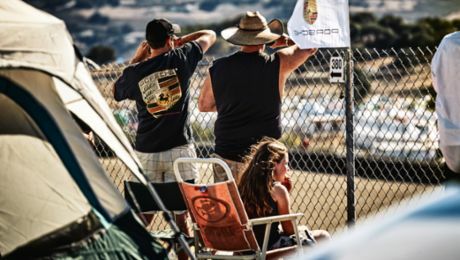 After holding the first three gatherings on the U.S. Eastern Seaboard—the first event was held at Lime Rock Park in 2001 followed by two events at the Daytona International Speedway in Daytona Beach, Florida, in 2004 and 2007—the Rennsport Reunion IV moved to the West Coast in 2011. In 2018 the Rennsport Reunion returns to its original three-year event interval. More than sixty thousand visitors are expected. 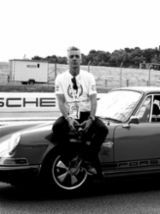 Text first published in the Porsche customer magazine Christophorus, No. 387.